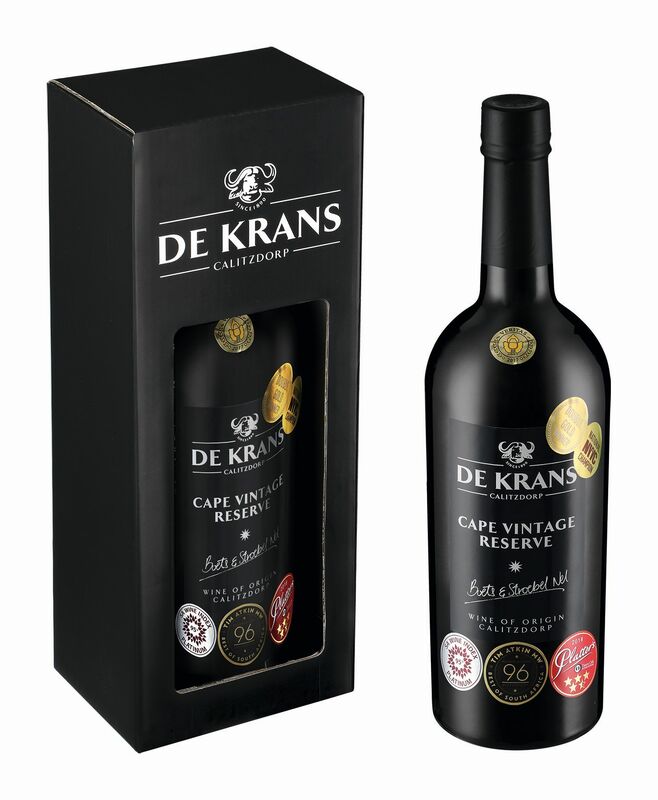 As one of South Africa’s leading port producers, De Krans Wine Cellar commitment to producing a quality product has yet again been acknowledged by the SA Wine and Cellar Classifications 2019, which saw De Krans being recognized as one of the two most successful Cape Port producers over the past 10 years. Three of the Top 10 Cape Ports for 2019 were from De Krans, namely the Cape Tawny Limited Release, Cape Vintage and Cape Vintage Reserve. The Cape Vintage Reserve Port, which stood out as one of the most successful South African wines over a 10 year period, was recognised with a place in the Classification’s Top Wine SA Hall of Fame for 2019, as well as one of the Top 100 wines. This port certainly impressed the panel of respected judges as it was rated as one of the top two ports in South Africa. The De Krans Touriga Nacional dry red wine was also chosen as one of the Champion Niche Red Varieties in South Africa at Top Wine SA. To be eligible for the Classification, which has been updated annually since 2004, wines of the Cape must have earned very good to excellent reviews from at least one of the top judging panels for at least three vintages during the 10-year period under review. The period reviewed falls between the years 2009 and 2018 (inclusive) for the 2019 Classification. The critics include experts appointed for the Decanter World Wine Awards (UK), the International Wine Challenge (UK) and IWSC (UK), Platter’s SA Wine Guide (5 Stars and Highly Recommended), the Six Nations Wine Challenge (AU), the Trophy Wine Show (SA), the Veritas Awards (SA) and the Michelangelo awards (SA) – to mention just some of the panels. “To be acknowledged by this esteemed panel for your hard work and dedication is without a doubt a humbling experience,” says co-owner Boets Nel, upon receiving this latest recognition.